When the 'memory book' reveals an ancestor she never knew existed, Phoebe Lange is convinced the parallels with her own life are no coincidence. And she will not stop until the truth is obvious and the answers tangible. Phoebe Lange has it all - a Master's Degree, an adoring fiance, and a future with unlimited possibilities - but something is missing. 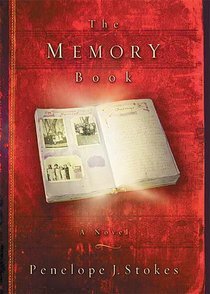 Orphaned at age five and raised by her grandmother, Phoebe longs for a past and a sense of connectedness, but it is not until she stumbles upon a scrapbook dating back to the 1920s that she discovers a terrible secret about her family's history that triggers an identity crisis. Phoebe becomes obsessed with the mysterious ancestor, also named Phoebe Lange, whom she is convinced is the key to answering the questions that have plagued her. But the answers may not be what she has in mind. PENELOPE STOKES is the author of ten novels, including "The Blue Bottle Club," She lives in Asheville, North Carolina.